Dr. Mahmoudieh has been with the El Portal department of Radiation Oncology since 2008. Previously, he served at Kaiser Permanente in Sacramento and Roseville as the Director of the Prostate Brachytherapy Program. He received his medical degree from the Albert Szent Gyorgi School of Medicine in Szegad, Hungary in 1996. He has a special interest in the treatment of Head and Neck and Breast cancer. He specializes in the use of Image Guided Radiation Therapy (IGRT) and Intensity Modulated Radiation Therapy (IMRT) in the treatment of head and Neck, Lung and Gastrointestinal/Genitourinary cancers and is highly experienced in the treatment of Prostate cancer. 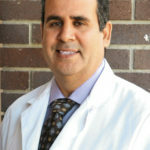 Dr. Mahmoudieh is a member of the American Society for Therapeutic Radiology and Oncology (ASTRO). He enjoys reading and playing racquetball. He also loves skiing and camping with his son and daughter. 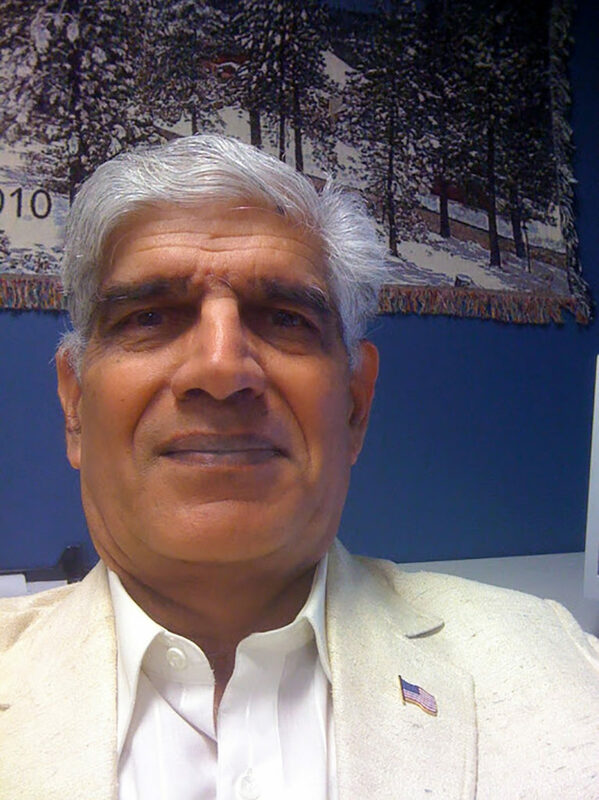 Dr. Chillar is a Honor graduate of the University of Delhi (M. Azad Medical College, New Delhi, INDIA). Currently he is a part-time Hematologist/Oncologist, and attending staff at USC and Assoc. Clinical Professor at UCLA, Drew and UC Irvine Universities in Southern California, and is also a member of Internal Advisory Council of UCLA-Drew U-54 Cancer Center Grant. Research Papers have been published in peer-reviewed scholarly journals such as NEJM, JAMA, Blood, Lancet, J Lab Cin Med British J Hematology and J Nat Med Assn. He also served at a reviewer for NEJM, JLCM, JNMA. Dr. Chillar enjoys Skiing, Tennis and Microbrewing. Dr. Elhanafy is an Associate Professor of Medical Physics. He is appointed by El Portal Cancer Center as senior and chief of Medical Physics since July 2013. Dr. Elhanafy has Ph.D. degree in medical physics in 2001from Mansoura University, Egypt. He joined University of Wisconsin Madison in 1999 to complete his Ph.D. thesis and his fundamentals training. He received his special training in different areas of radiation oncology including IMRT, HDR & LDR brachytherapy, SRS, TBI, Quality Assurance and Radiobiology as well. Dr. Elhanafy has published valuable research papers and he has several awards certificates related to his extraordinary contributions for organizing conferences, conducting training courses, lectures and workshops. His research interest areas include the intensity modulated radiation therapy (IMRT), High Dose Rate Brachytherapy (HDR), volumetric arc therapy (VMAT) and Quality assurance (QA) for both patients and Machines. Dr. Azad is a graduate of the University of Tehran Medical School in Iran. He later went on to pursue his radiology residency training at Jersey City Medical Center. Upon completion of his residency training, he joined the Department of Radiology at the University of Minnesota with a faculty appointment. 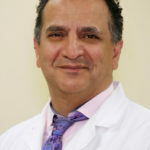 Dr. Azad is board certified in Radiology. Over the years he has been active as the Director of weekly Tumor Board and Chair of Continuing Medical Education at both the Metropolitan Medical Center in Minnesota and the Memorial Medical Center in Modesto. 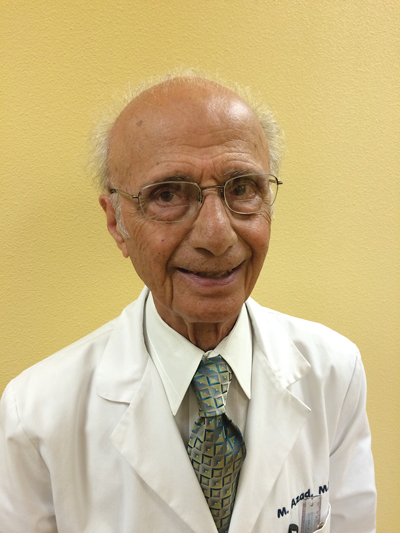 Dr. Azad is a seasoned radiation oncologist with many years of experience. He has received many honors from the American Cancer Society and other professional organizations. Dr. Azad enjoys tennis as well as long distance cycling.